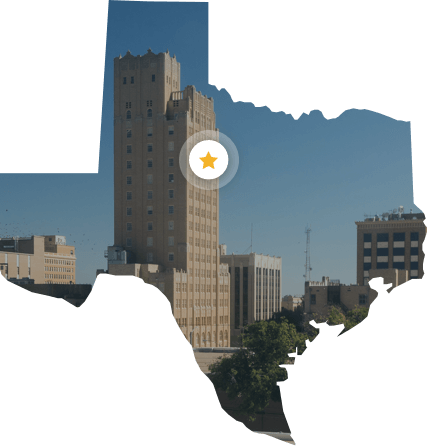 With a sizeable population standing roughly one-hundred and twenty thousand strong, Abilene Texas represents one of the Lone Star states’ mid-size cities. Established in 1881, Abilene was named for the cattle shipping center in Kansas. As a city, Abilene encompasses fifteen of Texas’ zip codes and lies within a deregulated electricity market. As such, citizens have the ability to select their own energy provider from the numerous service companies based in Texas. Unlike other Texas cities, electricity consumption in Abilene is below national averages. With a US monthly average of 903 kWh, Abilene residents consume an average of 850 kWh per month. Electricity usage contributes to the average monthly bill of roughly $100, which also remains below the national average. Based on the various plans and offerings from service companies, Abilene residents can experience even further savings by choosing energy providers with rates and plans catered to their usage. Payless Power provides the best prepaid and standard electric service with low rates and no deposit in the Abilene area. Since 2005, Payless Power has been helping people stay connected, regardless of income or credit history. As a family-owned business, and one of the best electric companies in abilene tx , we take great pride in serving our customers with care and respect across the entire state.